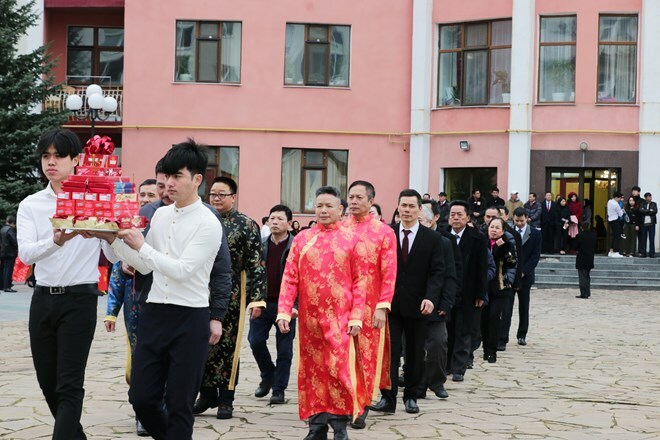 Hanoi (VNA) – A ceremony commemorating the death anniversary of Hung Kings, the legendary founders of Vietnam, took place at the Warsaw Buddhism culture centre, Poland, on April 14 with traditional rituals. Apart from introducing international and Polish friends to Vietnam’s fine tradition of "When drinking water, remember its sources”, the event helps the young Vietnamese generation living in Poland understand more about the culture of worshipping of the Vietnamese people, thus contributing to strengthening the expatriate community’s solidarity towards the homeland. He affirmed the Vietnamese Embassy's support for the Vietnamese community in Ukraine, wishing that they will continue to unite and help each other while preserving Vietnam’s cultural identity.